This configuration is used by schools which have an extremely variable classroom schedule. 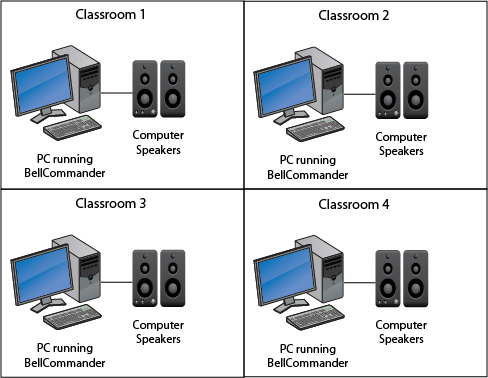 In this case, each classroom has a PC running BellCommander with local speakers attached to the PC. When the bell triggers, the students in local classroom are dismissed. This configuration could also be used in a store front with multiple rooms, such as a furniture store, for playing different announcements.